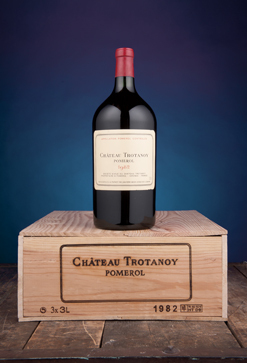 An ex-cellar collection of Château Trotanoy realised US$238,044 at auction in Chicago last weekend. The sale held by Hart Davis Hart saw some of the house’s strongest bidding of the season, with the overall sale reaching $3,668,745. Of the Trotanoy on sale, highlights included an imperial of 1982 for $6,573 (double its estimate) and a case of 1998 for the same amount (also double its estimate). The post-sale release went on to add: “Bidding was strong across all categories and vintages”, with a Burgundy receiving particularly strong bids. A five magnum lot of 1985 Clos de la Roche, Vieilles Vignes, Domaine Ponsot doubled its high estimates to reach $41,825, while a six bottle case of 1962 Musigny Maison Leroy also sold well over its estimates to realize $17,925. Chairman John Hart said: “These results underscore the fact that Hart Davis Hart is the best place in the world to buy and sell wines at auction.